As per present day’s statistics, 24% of the global websites are driven by WordPress. Also, most viewed news pages are powered by WordPress. The prime factor for acceptance of WordPress themes are its user friendly interface options and its flexible customization using plug-ins and in built tools. You need not have prior knowledge of coding, to customize a webpage. There ares several tutorials provided by WordPress which will help to develop a complex webpage with comfort. 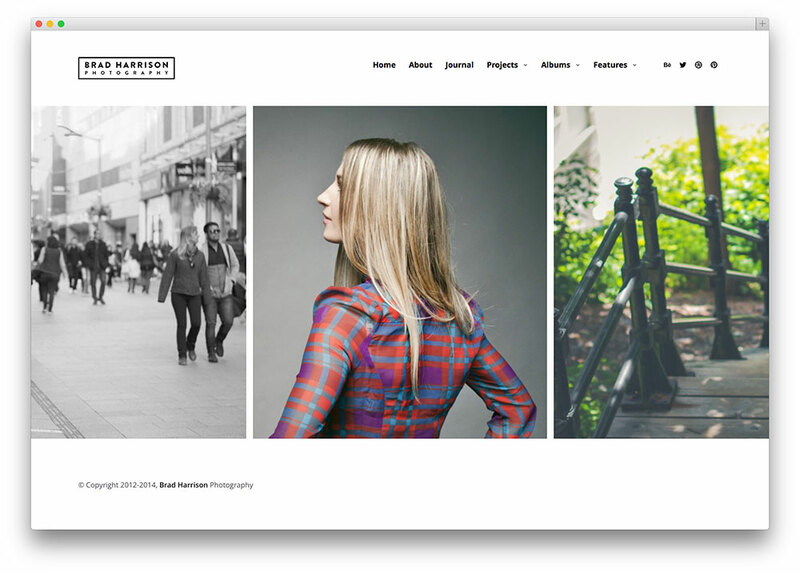 Let us get a deeper insight into the wordpress themes for photography. The themes discussed here are premium ones with a little charge or fee. But each of these themse is worth the user’s money. Many users have tried and have been satisfied with these themes. Although there are chances of spoiling the site, if proper customization is not done the success of these themes is in major proportion. Due to the increase in social networking sites Facebook & Instagram, photography has evolved as a major form of art. The emerging of these websites, have piqued interest in people to take more pictures and share them with audience. Moreover the development of high pixel cameras in smartphones permits the users to take more and better pictures. While some people are satisfied by sharing their pictures on Instagram, few people have taken this up to a next level and are enthusiastic about creating their own blog or website. The WordPress themes play a major role in supporting their goal and channelizing their photography skills. Here are enlisted, eight WordPress themes and their features out of the available thousands of themes. There are many more themes available and one can choose the theme best suited for their needs. Photography related theme is a hard one to choose from the available collection as each of them possesses a unique trait. 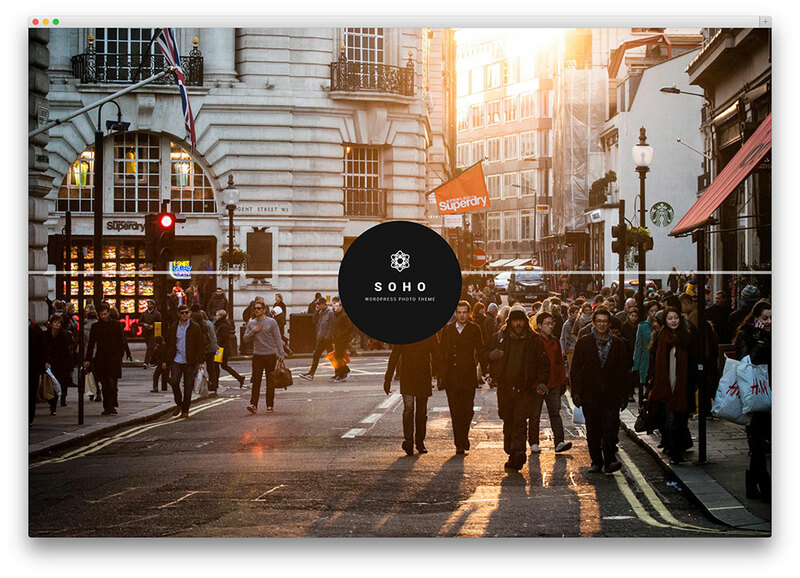 As a backdrop for your main page, you may now implement Video and Image backgrounds, adding another layer of immersion for your site’s visitors. Take full advantage of the masonry gallery and portfolio option in order to present your work to others. The masonry style is ideal, given that it makes good use of space, allowing the owner to post more items. Be it landscape or portrait images, the Ribbon Gallery will enhance their appeal. However, many prominent artists also maintain a blog, updating their readers in regards to recent activity and projects. Available in standard or full screen layouts, blogs are definitely valuable assets. Wynn is a responsive, full screen, all ajax WordPress portfolio theme that has a stylish look and a slick user experience. Wynn is ideal not only for agencies, freelancers and photographers but for all creatives looking to showcase their portfolio. Wynn comes packaged with plenty of great features and is highly customizable. Most importantly, Wynn is a unique template that was built after carefully considering use cases of several portfolio websites and we came up with minimalistic elements, clean design, creative placement of sidebar and an ALL AJAX implementation. If you are not familiar with AJAX loading, I suggest to check out theme demo to see how it works. You don’t need to get into technical details, just check those smooth transitions, awesome loading effects and much more.